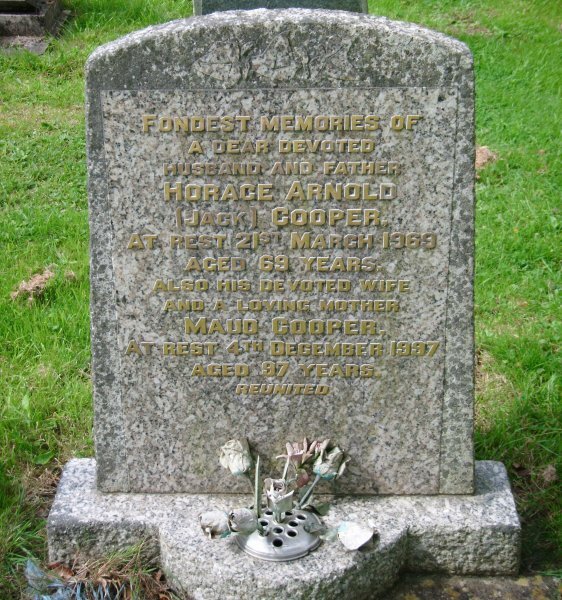 Horace Arnold Cooper, known as Jack, was born on 25 October 1899 at Twyford, Hampshire. He was the eldest of the four children of gamekeeper Arnold James Cooper (1870-1947) and Beatrice Elizabeth Julia née Whillier (1867, Jersey,-1941). Arnold and Beatrice's children were Jack, Dorothy Florence Grace (1901-1982), Millicent Ella (1904-1978) and Douglas George (1910-1997). In the 1901 census, Arnold, Beatrice and one-year old Jack were listed at Hazely Farm, Twyford. The following year the family moved to South Wonston, Micheldever, Hampshire where Dorothy and Millicent were both born. The family moved later in the 1900s to Cowes, Isle of Wight where, again, Arnold was working as a gamekeeper. On 5 November 1917, Jack enlisted at Twyford, joining the Royal Marine Artillery as a motorised plough driver in a support unit. He later transferred to 528 Battery, Royal Garrison Artillery and was finally discharged on 12 March 1919. On 7 June 1925, at Allington, Dorset, Jack married Maud Joy (1900, Bridport, - 1997). The 1938 England and Wales Register recorded Jack and Joy at 10 Uplands, West Coker. Jack was recorded as being the manager of a twine works. 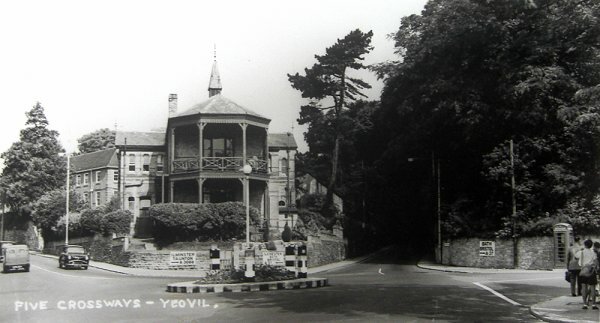 Jack and Maud were to have two daughters, both born in Yeovil (although this was almost certainly just the Registration District which included both East and West Coker) - Betty G (b1926) and Sylvia J (b1928). In 1940, Jack established a photographic studio at 97a Middle Street, later moving to 42 Middle Street, where he also operated a newsagent's shop. 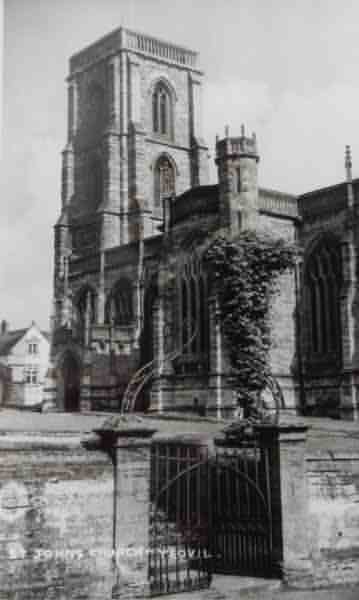 He was active as a photographer throughout the 1950s and the early1960s, at one point noting that he was of 'Yeovil & Sherborne'. 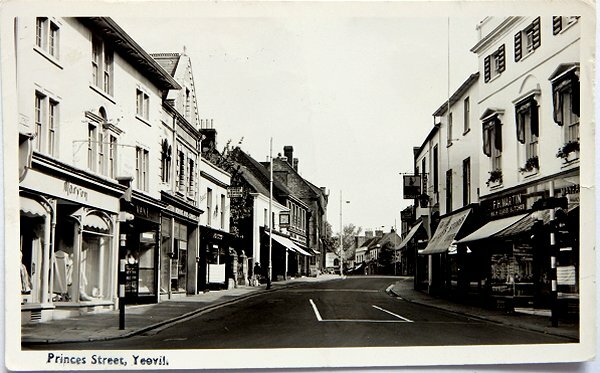 During the 1950s he published a series of postcards of Yeovil, several of which are reproduced in the Gallery below. Jack retired in 1965. Jack died on 21 March 1969, aged 69, and Maud died on 4 December 1997. They are both buried in the churchyard of St Michael and All Angels, East Coker. 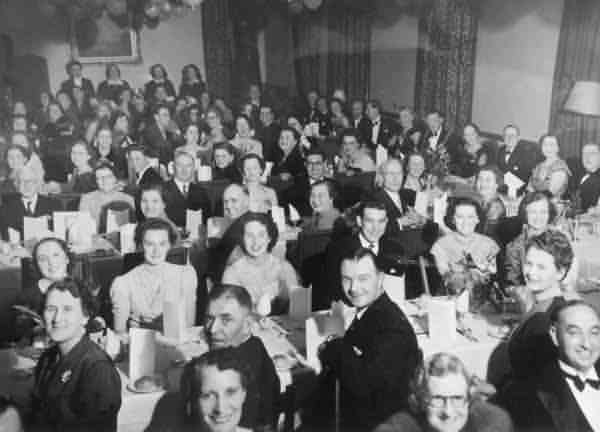 A formal event, photographed by Jack Cooper, probably in the early 1950s, when the address of his studio was 97a Middle Street. The front (at right) and back of an Ilford Film's photograph / negative wallet used by Jack Cooper, dating to the late 1950s when his address was 42 Middle Street. The front (at right) and back of a Kodak Film's photograph / negative wallet used by Jack Cooper, again dating to the late 1950s or early 1960s. 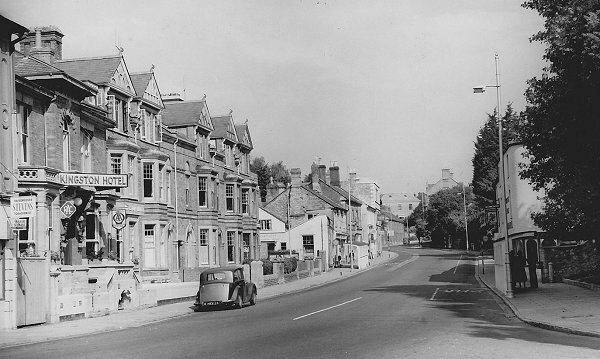 Fiveways photographed in the early 1950s by HA 'Jack' Cooper, when the roundabout still had its black and white markings - painted on during the war so that it was easier to see in the blackout. 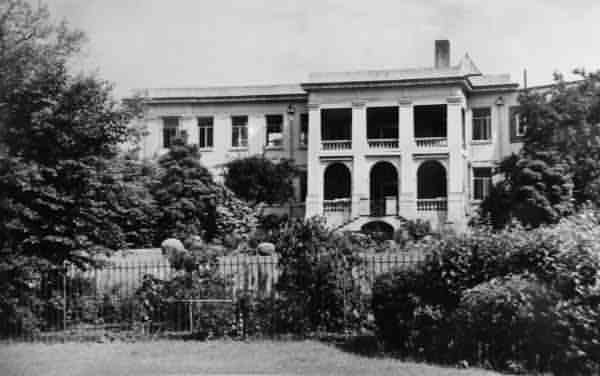 The General Hospital photographed from Bide's Gardens in the 1950s by HA 'Jack' Cooper. A postcard by HA 'Jack' Cooper, of the southern end of Princes Street dated 1958. 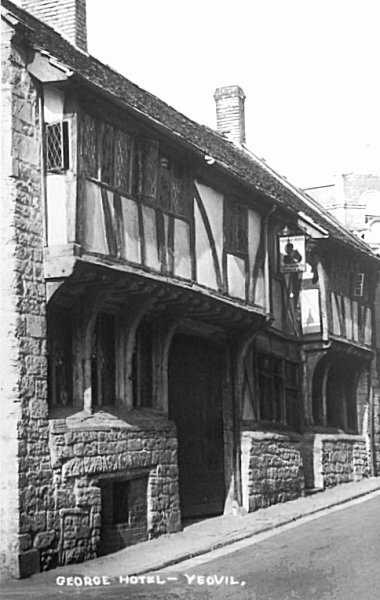 The George Hotel, Middle Street, photographed around 1960 by HA 'Jack' Cooper. Jack and Maud's grave at East Coker.